← Are Bees Wild or Domestic? I love the woods in the fall. What in the heck would these two subjects have in common? I have stated repeatedly that beekeeping has crept its way into almost every aspect of my life. Last week on what will likely be one of the last nice 70 degree days of the year I put up some deer stands. Deer account for all of the red meat consumed in our household so hunting them is a big part of every fall. This year walking of the woods is providing an extra benefit. While out and about I happened to take note of a lot of perfectly accessible FREE smoker fuel all over the ground. Here is a piece of punk I grabbed last week along with my “wood tester”. In 2012 I converted from purchased sources of smoker fuel to only things that can be had for FREE. My favourite fuel at the current time is punky wood and pine needles. “Punky” wood is wood that has been in a state of decay for a while. It will light easily and also tends to smoulder for long periods of time in a low oxygen environment. Even if you have never heard of this term before you have most likely had an experience with punky wood. It is the log in the woods that you either step on or kick and it crumbles with a dull soft thud. 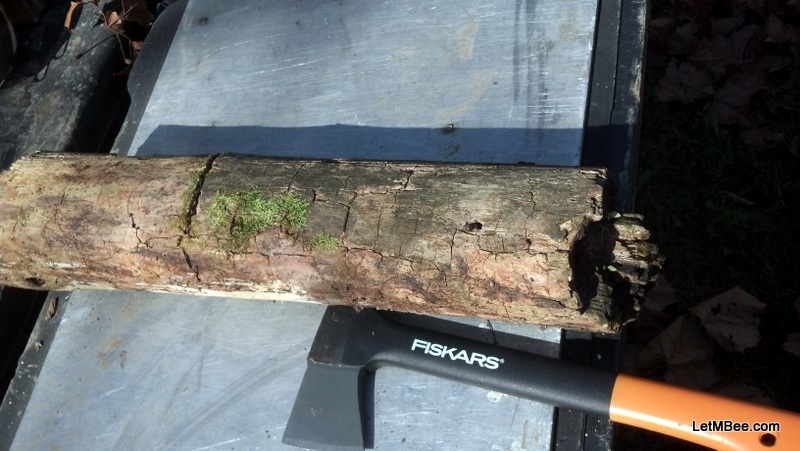 It is the log you pick up that feels light as air. That’s punk! I shot a little video upon returning home to show how I determine whether something will make good smoker fuel or not. Pine needles are also easily accessible at this site. The pine needles when dry make the the smoker even easier to light. Once the lid is closed it imparts a very nice smell on the smoke. The place I hunt deer is actually Hive Site 07. So just prior to leaving I stopped off at the hives to give them a look. The hives looked good from outward observation. 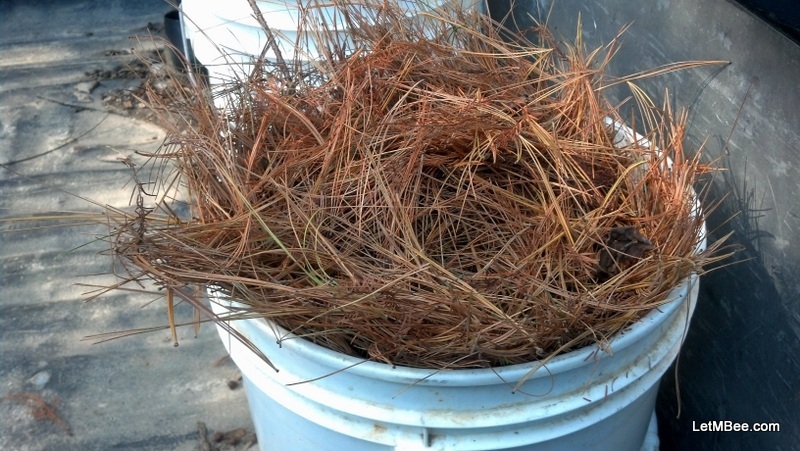 I then loaded up a 5 gallon bucket with dry pine needles. 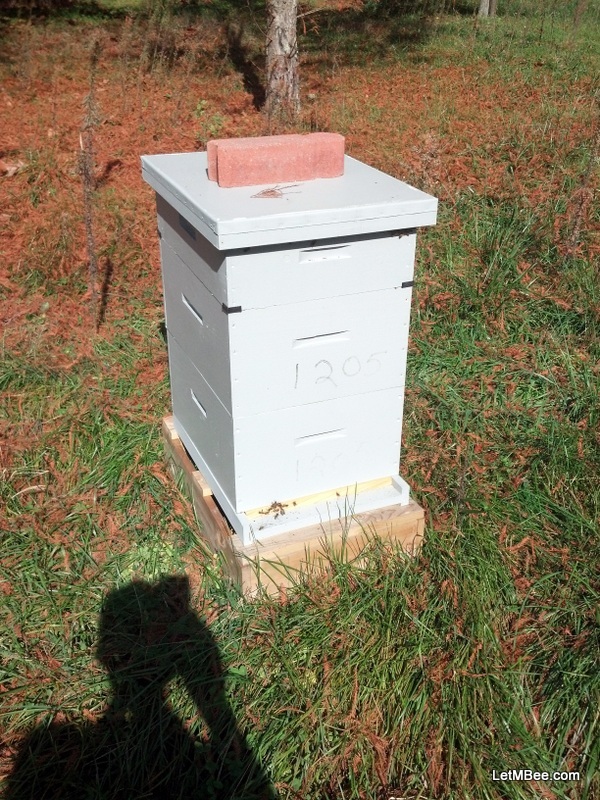 Hive 1205 with a bunch of pine needles behind it. I used to have a hard time both lighting my smoker and keeping it lit. Now I have to be careful about where I set the thing because sometimes it will smoulder for hours. On this day I got home placed my smoker on what has become its designated metal shelf at 4:00 p.m. At about 6:00 I returned to the garage to organize some things. Upon going through the door I could smell it. I looked over to the metal tray with the smoker laying on it and it was still putting out a small stream. Burlap never had that kind of staying power. If you tap on it with a hammer or hatchet it will give you a dull thud. If you don’t have a hammer you can tap it with your fingers (like a melon). If it is punky it will sound different than if you tap a solid piece of wood. If it has a lot of holes in it where insects have been working on it, it either already IS or is on its way to being punk. If you can tear it apart with your hands it is probably good stuff. The better stuff will break into fairly large pieces and doesn’t turn into powder. 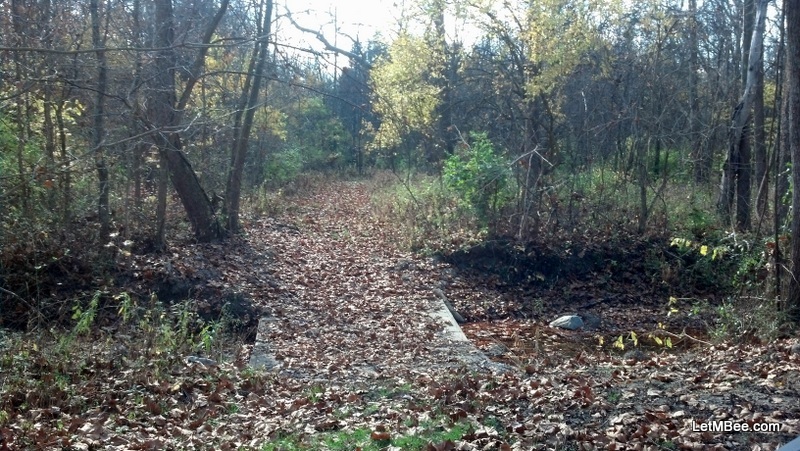 When you find it, sometimes it is dry, but most usually it will be little damp. Take it home and let it dry out well in the sun. I usually just put it on a table in the greenhouse for a couple of weeks. I don’t know much about wood, but I know that maple makes for good punk. There was a large stump behind my house that I have been using for fuel all year. It’s gone now so thank goodness for deer season. I shot some video of how easily this combination of punky wood and pine needles works. Lighting my smoker usually can be accomplished with the use of only one wooden kitchen match. There will be a follow-up post and video. What are you using for fuel? Is it free? This entry was posted in HowTo, Posts, What's going on.. and tagged bee, free smoker fuel, Indiana Beekeeping. Bookmark the permalink. I am still editing the video on how to light the smoker using this stuff. I honestly have no idea why anyone would buy that hard to light stuff sold at all the on-line bee stores. If I had sumac buds…. I’d use em’. I have a friend that uses pine needles and sycamore bark. It works well too. I saw the picks… I need to get into one of those…. 🙂 If I wanted it to last as long as possible, but out the pine needles and only use large chunks of punk. That would last a long time.